For over six years, NTH has become an extension of American Jetway Corporation (American Jetway)’s Environmental, Health, and Safety Manager’s resources. NTH’s extensive knowledge of federal and state regulations continue to help American Jetway solve their numerous and complex environmental and safety issues. American Jetway, an aerosol products manufacturer, provides formulations and packages to small and large businesses. Products include cleaners, degreasers, coatings and lubricants. In 2011, American Jetway began expanding their operations and now has operations at two facility locations. 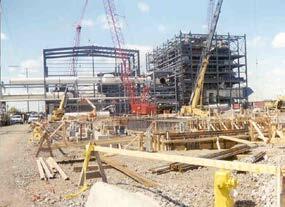 A third facility is scheduled to begin operations in late 2014. Recommending solutions to comply with changing state and federal regulations for both environmental and safety requirements.